I had big plans for some chili cooking tonight. 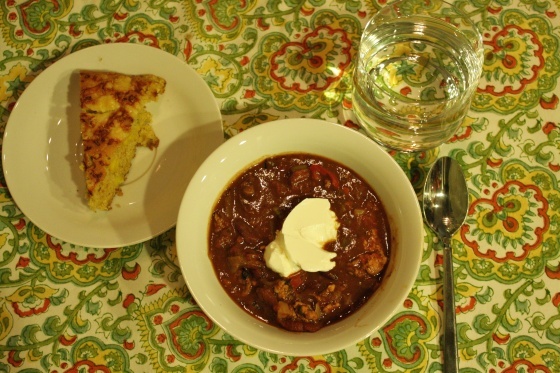 I hadn’t made chili yet this winter so I was definitely due. I bought all of my ingredients yesterday (or so I thought) and planned to throw everything together before I met Jen for yoga this afternoon. 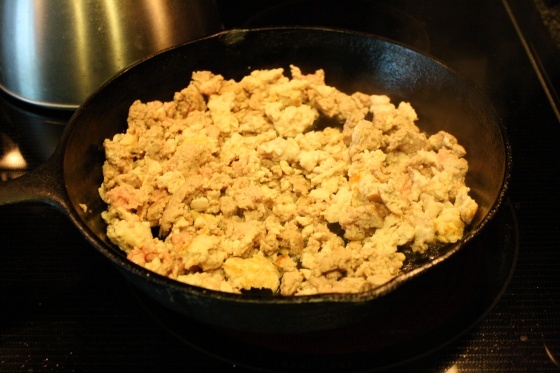 First, I sauteed my ground turkey in a skillet with some non-stick spray. 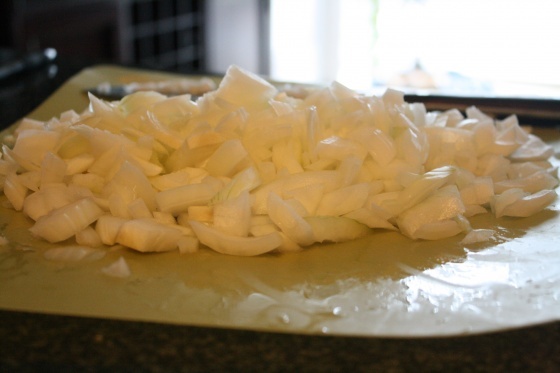 I chopped a sweet yellow onion, but only planned to use half and store the rest for later. I chopped, de-seeded, and removed the membrane from a jalepeno. I also chopped one clove of elephant garlic. Elephant garlic is just really big garlic, so while I only used one clove, you might need up to three regular sized cloves. I sauteed the onions, jalapenos, and garlic on medium high heat until the garlic and onions began to brown, then I added them to my crock pot. 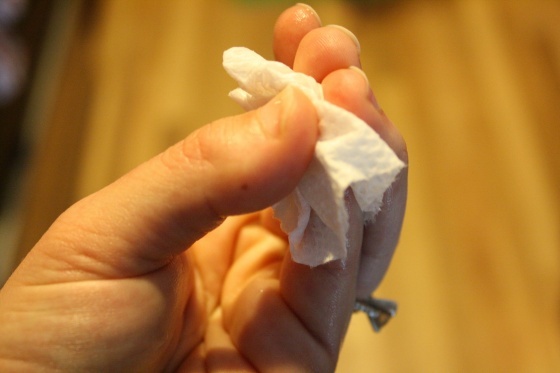 If you cut your finger, please stop and hold a paper towel to your wound to stop the blood. Nobody likes blood in their chili. 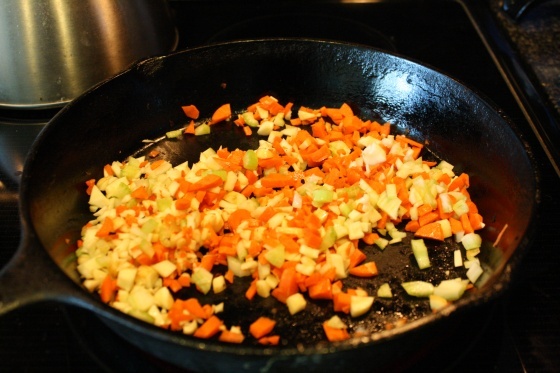 Chop the rest of your veggies and sautee on medium high heat until softened. I used a carrot, a parsnip, and a stalk of celery. 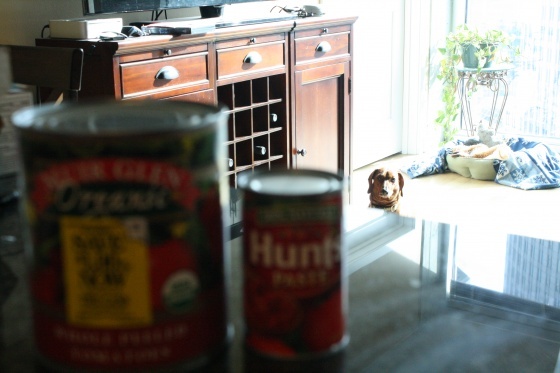 I next added to the crock pot one can of whole peeled tomatoes and a can of tomato paste. 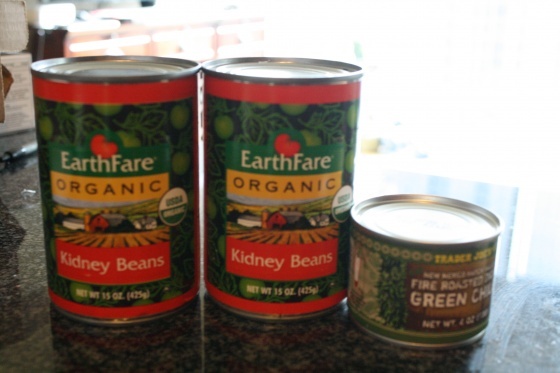 Next I added two can of kidney beans and a cans of fire roasted green chilies to the crockpot. Then, I got busy on adding all my spices and herbs. Can you spot what’s missing from this photo? 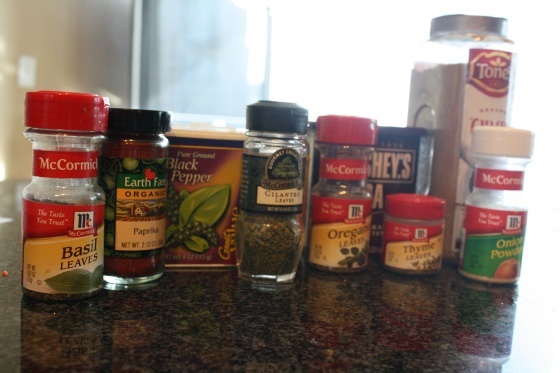 You can’t make chili without chili powder, in case you didn’t know. 😉 Luckily there’s a Harris Teeter, right beside Y2Yoga, so I could pick some up and make my fourth grocery store stop this weekend. Sheesh. I also used some Texas Pete, which ironically is manufactured in Winston Salem, NC. 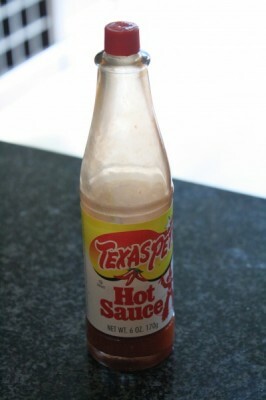 You can use some other type of hot sauce, but Texas Pete is my favorite. All this simmered for three hours on low while I simmered in hot yoga. 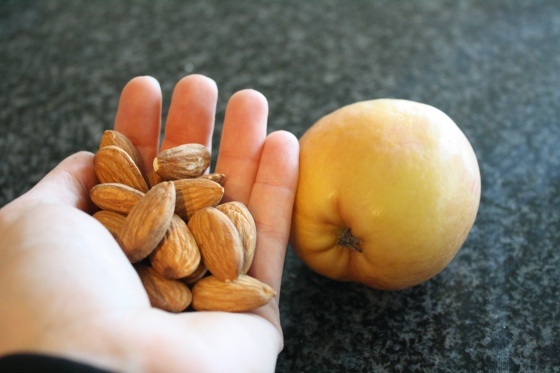 I grabbed a snack to eat in the car on the way to yoga. Thankfully, I’ve learned (the hard way) that you really shouldn’t eat very much before you go to yoga, unless you want to be sick. This was the perfect amount. Power yoga was hard tonight. Who am I kidding? Yoga is always hard for me. But I feel so good afterwards, almost euphoric. I might be in delirium because I have no water left in my body and have spent the past 1 hour or so letting blood rush to my head. I absolutely love savasana (or shavasana)when I finally earn it at the end of yoga. Apparently I’ve been hearing this as “savanyasa”, but I stand corrected. All I know is that it’s wonderful and sometimes I fall asleep during it. Whoops. 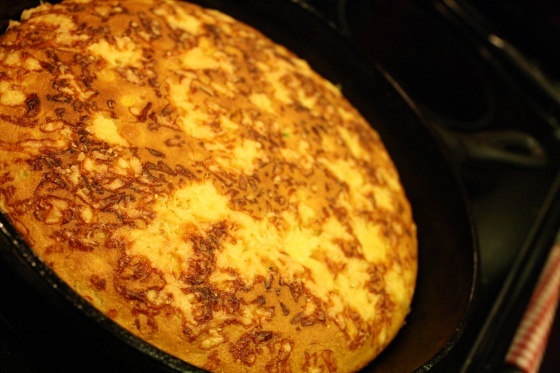 After yoga, I popped into the Teeter, made my way home, spiced up my chili, and made this glorious cast iron skillet of cornbread. Just as God intended it. I don’t want to brag, but this was delicious. There are no other words. The cocoa added this depth of flavor that made it taste darker somehow and I really liked it. 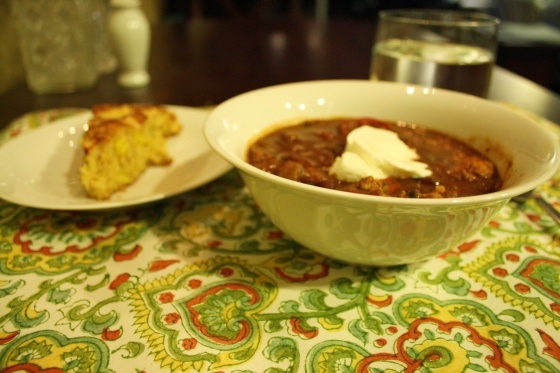 Greek yogurt and a slab of cornbread was a delightful accompaniment. Let’s not forget slightly sweet and grainy. Yum! 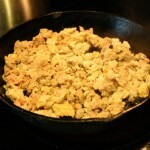 Sautee turkey and removed from heat. Allow to drain on paper towel over a plate. Sautee all vegetables (red ingredients) and add to crock pot. Add meat as well. 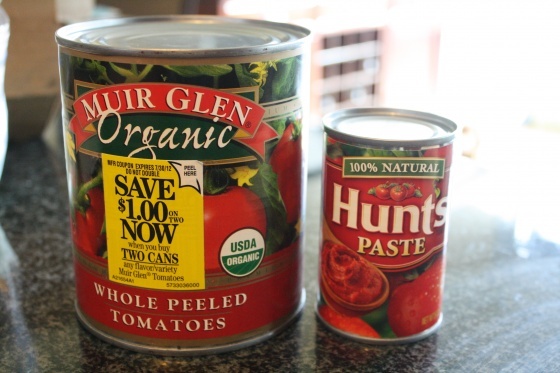 Add all can products (blue ingredients) to crock pot. Next, add all spices, herbs, and seasonings (green ingredients). 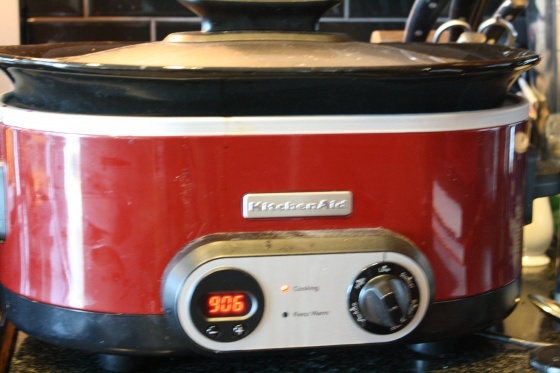 Stir well and turn crock pot on low. Allow to cook for several hours before serving (the longer the better), not to exceed eight hours. 1/4 cup unbleached all purpose flour + 2 Tbsp. Heat oven to 375 degrees F and place cast iron pan in oven to warm. Disregard if using another baking dish. 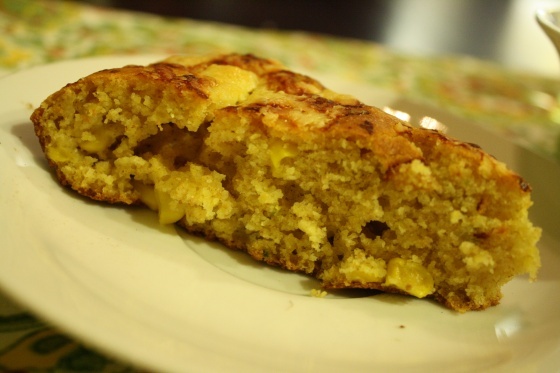 Mix dry ingredients: cornmeal, flour, baking powder, and salt. 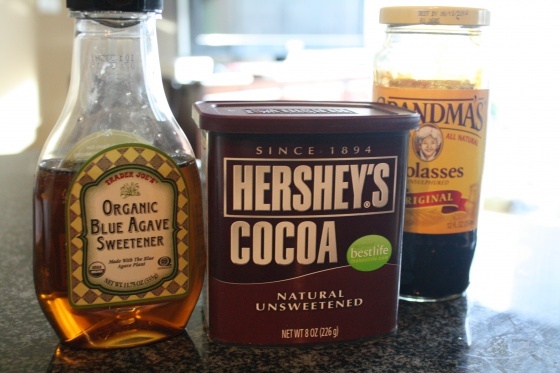 Mix dry ingredients in a separate bowl: agave, milk, egg. Add wet ingredients to dry and mix well. 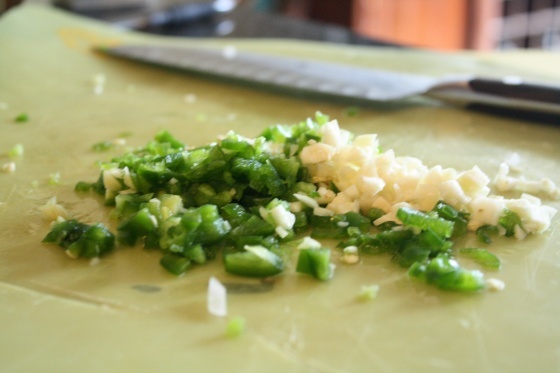 Stir in minced jalapeno. Remove cast iron pan from oven and spray with non-stick spray. 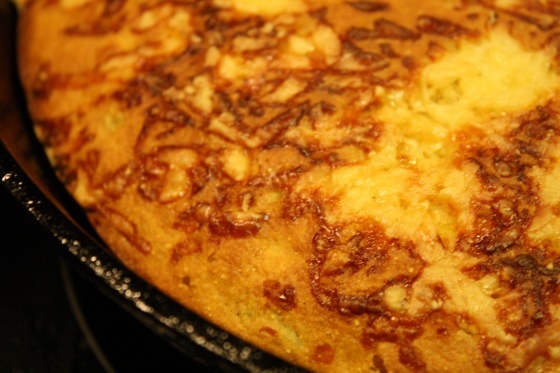 Pour cornbread batter into pan. Sprinkle cheese on top. Cook for 25-27 minutes or until you can insert a knife in the center and it comes out clean.